Boutique hotels often have to work harder to make a good impression. Without the endless bells and whistles of larger, grander properties, the pressure is on to make everything “just so” and offset the lack of variety: If there’s room for just one restaurant, it has to be the restaurant. The spa has to be the spa, and the bar has to be the bar and so on. Smaller spaces also mean that the psychology behind each experience has to be perfectly tailored. When it’s just a few steps to the front desk, a few more to the elevator and up to the room, each moment is crucial in creating a sensory experience that guests will remember. The Highland Dallas does all of this in spades. The design at The Highland seems bent on highlighting the best of the hotel’s mid-century modern architecture, with plenty of right angles, polished woods and natural light. Proud, soaring columns of an understated yet grand porte cochère give way to bespoke fragrances in an intimate, airy lobby and quiet alcove reception area before spiriting guests into a hide-accented elevator to their floors. Guest rooms check all the boxes, but a lot of little touches solve problems you didn’t know you had. Bathroom space is maximized by the up-and-coming use of a sliding mirrored barn door—although throwback bath/shower combinations could have given way to more modern fixtures. Everything is forgotten, however, once it’s time to turn in, and I dare you not to melt into the luxurious frette linens. Chef John Tesar’s Knife is the clear crown jewel of the hotel. They know how to do steaks—from expense account type cuts to less popular but tasty cuts, such as the skirt steak available for less lofty budgets. Evenings begin with a fine selection of bread—once they figure out you’re in love with the biscuits, which is entirely likely, just try to stop them from bringing more—and crudité on ice (it’s enough to skip a salad course for). While the meat is the star of the show—on display in an aging room near the entrance—be sure not to skip dessert. The pastry chef here knows his/her trade. Hot Texas summers require a pool deck for cooling down, and the deck here continues the mid-century theme, complete with plenty of spaces to see-and-be-seen or take a quiet swim. If body work is more your style, the adjacent Exhale Spa is the place to visit. 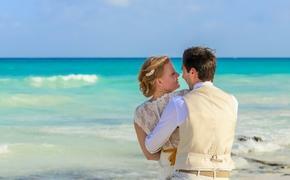 It’s just as boutique as the hotel itself, however, so don’t expect an expansive facility. The hotel is in the midst of the walkable Mockingbird Station complex, convenient to Southern Methodist University and Greenville Avenue. Hotel valet is on the spot when a vehicle is needed, but if you prefer a ride, the hotel’s house car will drop off within a specified radius. The Takeaway: The Highland Dallas is a mid-century masterpiece outside the bustle of Downtown Dallas, but still close enough to the city’s best neighborhood. Its intimate atmosphere maximizes tranquil escapism at the end of a long Texas day. The Damage: I’ve seen low season rates from $159 per night. Instagrammable Moment: The pool deck is memorable, as is virtually any plate served in Knife. 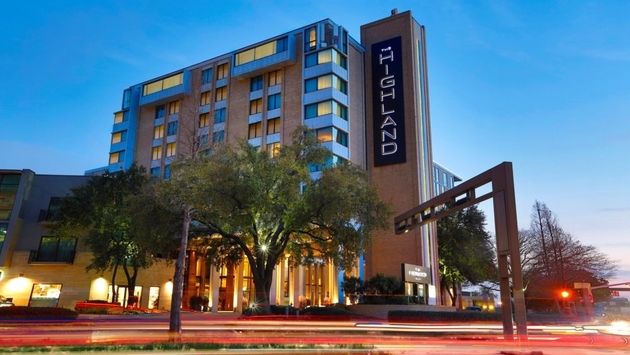 Loyalty: The Highland Dallas, like all Curio properties, participates in Hilton Honors. Good to Know: Valet isn’t free for overnight guests, but it is free for day patrons of Knife and Exhale Spa. Accommodations were furnished by The Highland Dallas in preparation for this story.